Kamden Isaiah Myers Busler, 6, of Carmi, passed away Wednesday, July 4, 2018 at Deaconess Gateway Hospital in Newburgh, IN. He was born in Knoxville, TN on September 6, 2011. Kamden recently completed Kindergarten at Eagles Nest and was a member of The Roads Church in Norris City. Kamden loved music, video games, basketball, football, playing outside, riding his bicycle, and jumping on the trampoline. Kamden is survived by his parents, Randall and Tara Busler, of Carmi; a brother, David (Michelle) Busler of Evansville, IN; two sisters, Meegan (Michael) Aldana and their children of Branson, MO and Rebekah Busler of Oakland City, IN; grandmother, Patricia Myers of Carmi; grandfather, John Myers of Deland, FL; great-grandmother, Helen Gray of Carmi; extended family, Thomas Curry, Jr. of Henderson, KY and Thomas and Elizabeth Curry of Morganfield, KY; siblings, Kade Curry and Sydney Downing, both of Louisville, KY, and Maci Curry and Max Curry, both of Henderson, KY; as well as numerous aunts, uncles, and cousins. 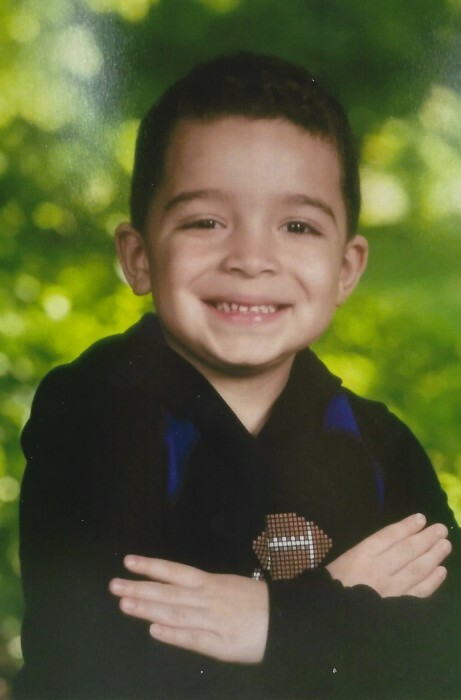 Private family services for Kamden Isaiah Myers Busler, 6, of Carmi, will be held with burial in Melrose Cemetery. In lieu of flowers, the family requests that donations be made to The Roads Church Children's Ministry and will be accepted at Campbell Funeral Home in Carmi, who is in charge of arrangements.